In order to fulfill our vision to expand the kingdom regionally and globally, we have partnered in supporting many missionaries & missional organizations. Jeremy and Susan Beebout are RCA missionaries who have opened a medical clinic in Niamay. Susan also teaches nursing at the university. Jeremy helps host mission groups that come to Niger and encourages regional bodies in their agricultural development efforts. Brian and Elizabeth (Beth) Bruxvoort are RCA missionaries who work in partnership with the Mission Aviation Repair Center (MARC). Brian is a airplane mechanic, flight instructor/scheduler, and pilot, flying pastors and others to and from remote Alaskan villages and transporting children to Bible camp. Beth leads a Child Evangelism Fellowship youth team in ministry to the children of the village of Pedro Bay, Alaska. They have four children, Brianna, Michael, Lucas and Jonathan. 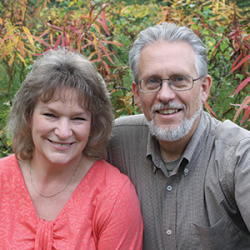 Keith and Denise Krebs are RCA missionaries in Bahrain. Keith is a Chaplain at the American Mission Hospital and also assistant pastor of the English language congregation of the National Evangelical Church. Denise is teaching kindergarten at the Al Raha School. Harlan is a chaplain at the Sioux Falls Penitentiary where he is able to share the love of God through Bible studies, Christian literature, group and one-on-one counseling. Dan & Heidi are the founders of Paradise Bound, an organization ministering to physical and spiritual needs of the people of Guatemala. Their goal is to do "whatever it takes" to bring the gospel of Jesus Christ to the lost and dying in Guatemala through varies programs. Various programs include also opportunities for us to go and assist in home building, orphan care, medical assistance through clinics and their aviation program, and pastoral training classes. Several trips are available each year to go and help. Jason is the pastor of a church in the Mike Durfee State Prison, The Living Stone Prison Church. They have a weekly worship service that is mostly run by the inmates with Jason providing the leadership and the message. Jason is at the prison several times a week to meet with inmates for pastoral care, counseling, and hold Bible studies. They encourage people from the outside to attend the worship services to encourage the inmates. In 2017 they witnessed 19 baptisms and 14 professions of faith. in 2118 they are looking forward to finishing a separate worship Chapel to hold services in rather than the visit room. Amber Booth works with YouthFront in Kansas City following her work in Croc, Mexico. She is working alongside Kurt & Emily Rietema and is working with the youth of the community. She is also helping with the restoration of the Franklin Community Center. It was the hub of activity and identity for the Argentine community and to have it restored would give the community a sense of renewed pride and value. She had the opportunity to help get an after school hangout and ministry center started for the youth of Argentine that Amber is working with. The hangout provides both jobs and space for the youth interact with others. Taunya is sharing God's love as she ministers to the orphans in Haiti. She is a caregiver at the Tytoo Gardens Orphanage not far from Port-au-Prince. She also helps to train the national caregivers in their skills. She also helps them see that the work they are doing is more than just a job but has eternal value. The village of Simonette also host a ViBella Jewelry site where some of the older girls from the orphanage learn to sew, assemble jewelry and find pride in having a job. Shaun, Beth, and Aryka are senders and befrienders to internationals. Shaun works with Frontiers ministries training people that are going into mostly Muslim countries to share the gospel. they also work with the immigrant community in Arizona to share the gospel and also to help them acclimate to life in America. Tom and Aïchatou Johnson have recently moved to the States after working in Niger Africa. Tom and Aichatou Johnson are RCA missionaries who work in the Republic of Niger and the Presbyterian Church (U.S.A.) in the country of Niger. Tom is currently working on finishing and publishing a catechism that was started by a previous missionary. He is also teaching a high school class on World Religions and a Chrsitian Leadership class at the Niamay Seminary. Aichatou is working as a doctor and finishing the requirements for her medical thesis. Brian Renes is an RCA missionary working in partnership with United Bible Societies (UBS), a worldwide fellowship of national Bible Societies that consult and offer mutual support in more than 200 countries. Brian works as a computer consultant for Bible translation projects, training national Bible translators in the use of technology that will aid them in this work. The software helps them to translate more quickly and more accurately. Brian and Donna have four daughters, Lori, Amy, and Rebecca and Rachel. Kurt and Emily Reitema are mission workers with YouthFront. Kurt & Emily along with their three sons, Luke, Perkins and Leo, live in a diverse, under-resourced neighborhood of Kansas City called Argentine. Kurt leads Christian community development efforts for the Christian Reformed Church in their neighborhood and is also the Director of Justice Initiatives at YouthFront. Kurt also leads YouthFront Missional Journeys which are a different kind of take on service projects and short-term missions. Emily leads a housing initiative called Neighbor to Neighbor that helps get immagrants and other marginalized people into below-market rentals with the ultimate goal to move people into home ownership. Nadji is working with Christian Reformed World Missions in El Salvador. She is helping form resources to help the people struggling from trauma from the recent civil war and the current gang violence. She is helping to lead healing groups. After volunteering for two years with World Renew working with farmers to learn composting, fertilizer and other beneficial practices, Nadji became the World Renew Program Advisor for Bangladesh. For years she worked as a consultant for the local partner organizations in community level activities, primarily in sustainable agriculture and disaster risk reduction. However, Nadji was recently prevented from returning to Bangladesh and begin her new work at LaArch home for the mentally handicapped; the unrest became too risky for her to return. She is currently in South America checking out a few other opportunities. Please pray for Nadji as she seeks a new call on her ministry. Rick is one of the Chaplains in the Sioux Falls Penitentiary on the Hill. He leads the weekly Friday evening service and hosts Bible studies and is available to meet with and encourage inmates. We have opportunity to worship with Rick on Fridays and encourage the inmates. Many inmates flow back and forth from Sioux Falls to Springfield so it is great to support both ministries to keep in contact with the inmates. One Vision Orphanage is an Orphanage in Haiti that FRC is partnering with to provide support and education for both the orphans and the care givers that take care of the children. Trips are available to meet the kids and help provide facilities as well as sponsorships for their needs. Kansasso Community School is in a fairly unreached community in Ghana. A school has been built for the children and agriculture practices have begun to be introduced to support this remote community. There may be a future opportunity for us to go and have a more active role in the development of the school and community as time and infrastructure progress. The Croc staff is now all national Mexicans. Rudolfo, Alain, Marco, Gris, Karen, Silvia and others are continuing the ministry of Kurt & Emily Rietema started. They minister to the community of Croc through children's after-school activities, Bible studies, retreats, worship services, youth ministries and working with families. Croc also holds a location for Vibella Jewelry assembly and supplies. Center of Hope is an RCA urban mission outreach in Sioux Falls, S.D.. Services include after-school and vacation Bible school programs for kids and fellowship and Bible study opportunities for teens and adults. The center offers lots of practical help too, including information about other agencies, baby supplies for new moms, computers with internet access, recovery programs, winter clothing, and reconditioned bicycles for people without transportation. Center of Hope also provides bicycles for transportation and winter clothes for people looking for work. Center of Hope always welcomes donations of mountain bikes or 10-speeds in working condition. If you have questions contact Center of Hope at 605-334-9789. The Winnebago Sunday School Project started after Pastor Roger Voskuil did the Christmas Children's message on keeping the lights on at Winnebago Reformed Church. Winnebago Reformed Church is on the Winnebago Indian Reservation in Winnebago NE. about 70 miles from Sioux Center. Lowell Ten Clay is the Pastor. He and his wife Connie live on the Church property on the Reservation. There usually is a group of 6-10 of us that go every 4th Sunday, we leave our church around 8:30 and usually return around 2:30. What we do is teach Sunday School to the Native children while Lowell is doing the worship with the adults.The classes are split into 2 groups ( 9 yrs.&up, 3yrs.to 8yrs.). The church has the teaching materials that we use. We average about 15-20 kids in the two classes. If you like to teach but don't want to commit to every week this is for you. If you would like to do this as a family this is for you. If you love kids and just want to love on them this is for you. If you have ever thought of going on a mission trip but cannot be gone for a long time this is for you. ( Every 4th Sunday that is all ) This would be a great oppritunity for a High School Sunday school class to go a week and teach as a service project. If you can't go on the Sunday we go we'll try next time and see if it works. We send out a group text the week before we go to see how many can go and if it doesn't work you just say no.